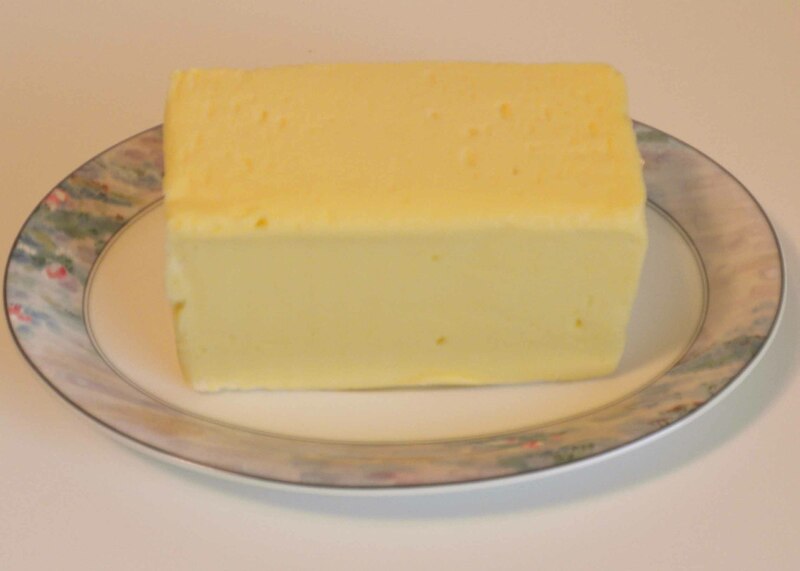 Pastured butter—the best brain food. We are seeing an epidemic of mental illness and poor mental functioning that may be without parallel in human history. The frequency of many mental illnesses is expanding an alarming rate. A huge and constantly increasing percentage of children are being diagnosed with learning disabilities. The psychiatric profession claims that the increase is due to “better diagnosis,” and that the problems were always there, but I disagree. When I was a child, learning disabilities were pretty much unknown. So what is the cause of the vast increase in mental illness and learning disabilities? In my opinion, it is malnutrition. To be more specific, it is the lack of enough good fat in most diets. Because the very saturated fats that our brains need to develop and function properly have been demonized and removed from the diets of so many people, especially children. We are constantly told that saturated fat, especially saturated animal fat, is deadly, and will clog our arteries and cause heart attacks and strokes. This theory has never been proven, but is generally accepted as fact, due to persistent marketing by the industries who make a fortune from this false belief. Most people, throughout most of history, have cherished saturated animal fat as their most valued and sacred food. Heart attacks and strokes were very rare throughout most of human history, despite the widespread eating of saturated animal fat in large amounts. The truth can be seen in the composition of mother’s milk. Nobody really denies anymore that mother’s milk is the very best and healthiest food for babies. Yet more than half the calories in mother’s milk is from saturated animal fat. Nature herself has thus proclaimed the need for saturated animal fat. Our brains our made largely from fat, and need fat and cholesterol to maintain themselves and function properly. Our ancestors knew this, and many traditional remedies for grief and depression involved the eating of rich, fatty foods. People who had lost loved ones were constantly urged to eat fatty foods. It helped calm the mind. Dr. Weston A. Price designed a special lunch program for some poor children in Ohio. He intended the diet to improve the health of their teeth. It was a diet very high in saturated animal fat, containing plenty of marrow, grassfed meat fat, butter, and whole milk. Not only did the teeth of the children improve substantially, but their performance in school went from horrible to superb, as reported by their teachers. Unfortunately, not all saturated fat is the same. Prior to the twentieth century, most saturated animal fat came from animals fed their natural diet. For grass eating animals such as cattle, sheep, and bison, this meant grass. The twentieth century saw the introduction of feedlots and grain feeding for these animals. The change in diet made their fat different. While the fat of a grassfed animal has a perfect balance of omega-3 fatty acids to omega-6 fatty acids, grain feeding causes a huge imbalance in the ratio, creating a great excess of omega-6 fatty acids. Excess omega-6 fatty acids have been associated with a number of illnesses. The chemicals used in the raising and feeding of factory cattle also changed the content of the fat, to something that had never been eaten by humans before. The change in the composition of the fatty acid ratio is shown in this chart and the accompanying article, Health Benefits of Grass-fed Products. While the full effect of the change in the composition of animal fats from grain feeding is not fully known, I am much happier eating the same traditional fats that humanity has always eaten. The best way we can get the good saturated animal fats our brains need, in the proper form, is to eat plenty of fat from healthy grassfed animals. I eat the fat on the meat, use the grassfed tallow in cooking, and eat plenty of grassfed butter, milk, cheese, and cream. Since I have done so, my mental functioning, which was always good, has improved greatly, allowing me to learn new things much faster and to think quickly and effectively. In fact, with my traditional diet, I learn more as time passes. « Did Paleo People Eat Lean Meat, or Fat?